Kastar Ten Spline Ratcheting Output Wrench is a eversible offset ratcheting, chromeplated, EZ Grip wrench contains a 1 1/8'' drive to service a six spline crankshaft. The Kastar Ten Spline Ratcheting Output Wrench is used for rotation of the crankshaft and check engine timing and parts clearance on Sportster® motorcycles. The 9794 Kastar Ten Spline Ratcheting Output Wrench is one of thousands of quality tooling products available from MRO Tools. Please browse Kastar Motorcycle Specialty Tools for tools similar to the 9794 Kastar Ten Spline Ratcheting Output Wrench. 9794 Kastar Ten Spline Ratcheting Output Wrench description summary: Kastar Ten Spline Ratcheting Output Wrench. Used for rotation of the crankshaft/check engine timing and parts clearance on Sportster® motorcycles. 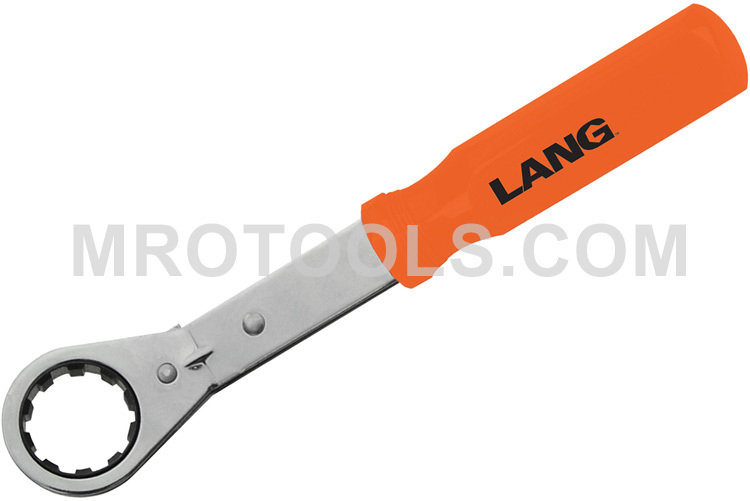 Quantity discounts may be available for the 9794 Kastar Ten Spline Ratcheting Output Wrench. Please contact MRO Tools for details.